The First Swim Facility of Its Kind! SafeSplash Swim School has combined with SwimLabs Swim School in one facility to offer a complete array of services. The SafeSplash focus on learn to swim classes complements SwimLabs’ attention to competitive swimmers and triathletes. Between the pool and the tanks, we cover every topic from basic safety to elite racing technique, accommodating swimmers of all ages and abilities. With the combination of SwimLabs and SafeSplash, we take our families from “learn to swim” to “swim to win!” Learn more about SwimLabs here. SafeSplash + SwimLabs specializes in providing warm water, learn-to-swim lessons for children and adults throughout the cities and neighborhoods in the areas of Louisville, Floyd County, Oldham County, Bullitt County, Spencer County and Shelby County. We are conveniently located at 3572 Springhurst Blvd, Louisville, KY 40241, very close to Dicks Sporting Goods and Home Depot. 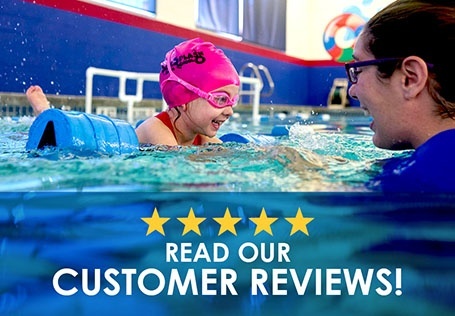 Our swim school is an independently owned and operated franchised location of the nation’s leading learn to swim school family, Streamline Brands. Amy Albiero, wife of Arthur Albiero, residents of the Louisville, KY area, is the owner. We believe learning to swim is a life skill®. Beyond giving you peace of mind that your child is safe, swimming lessons give kids the opportunity to feel pride, confidence, and develop socially. Studies also show kids that are involved in swimming perform better in school, are more disciplined and have better study habits throughout their educational career. At SafeSplash + SwimLabs, we have honed our focus and our ability to provide successful teaching outcomes for any age student via more than a decade of experience and over 7 million lessons, and our customers certainly agree! Each level of our SafeSplash + SwimLabs curriculum consists of several building blocks that allows your swimmer to efficiently and confidently advance the skill level. No matter what your swimming goals are, we will help you get there. At SafeSplash + SwimLabs, we understand that the match between an instructor and a student makes a significant difference in the student’s learning. We give your swimmer the opportunity to learn from passionate certified instructors that provide individual attention in a manner that is tailored to their learning style. We call this uniquely tailored approach to teaching the SafeSplash Match®. We strive to exceed your expectations every day you come to swim lessons. We offer a positive, fun experience to our students with the ultimate goal of helping them become safe, happy, confident, lifelong swimmers. 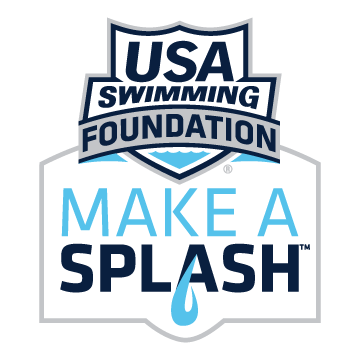 We look forward to seeing you at the first facility of its kind, SafeSplash + SwimLabs! Contact us for more information. To register please call (502) 264-6300. See below for call center hours of operation.